A team of scientists, led by the University of Southampton, has developed a new method to help the world's coasts adapt to global sea-level rises over the next 100 years. Future sea-level rise seems inevitable, although the rates and geographical patterns of change remain uncertain. Given the large and growing populations and economic activity in coastal zones, as well as the importance of coastal ecosystems, the potential impacts of sea-level change are far-reaching. Current methods to assess the potential impact of sea-level rise have varied significantly and hindered the development of useful scenarios and in turn, suitable adaption policies and planning. 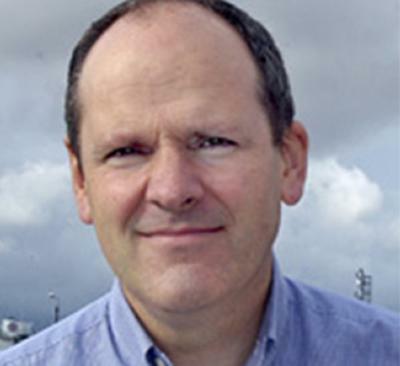 A new study led by Professor Robert Nicholls from the University of Southampton, has combined the available data on a number of different climate and non-climate (such as uplift, subsidence and natural phenomena - earthquakes for example) mechanisms, which contribute to sea-level change, to create appropriate scenarios of sea-level rise at any location when policy-makers consider impacts and adaption. Professor Robert Nicholls says: “The goal here is not to ‘scare people’ but rather to encourage policy makers to think across the full range of possibilities. Hence, the problem can be addressed in a progressive and adaptive manner where sea-level rise is planned for now, and that plan includes monitoring and learning about sea-level change over the coming decades. This means that sea-level rise can be fully prepared for without over-adapting. To help develop the scenarios, the scientists from the universities of Southampton, Durham, Reading and Curtin University in Australia, along with the United Nations Development Programme, considered a wide range of situations - from cases of little data and few or no previous studies, to those where significant data and experience of earlier studies are available. This allowed them to explore the full range of uncertainties and risks to avoid estimates of sea-level impacts being made invalid every time new projections were published. The timescale for the study is between 30 and 100 years into the future as this corresponds to the most relevant timescales considered for most developments in coastal zones. The paper ‘Sea-level scenarios for evaluating coastal impacts’ is published in the journal WIREs Climate Change. It is based on guidance on producing sea-level rise scenarios for impact and adaptation assessment, which was developed for the Intergovernmental Panel on Climate Change (IPCC) Task Group on Scenarios for Climate Impact Assessment (TGCIA) and available on their website.